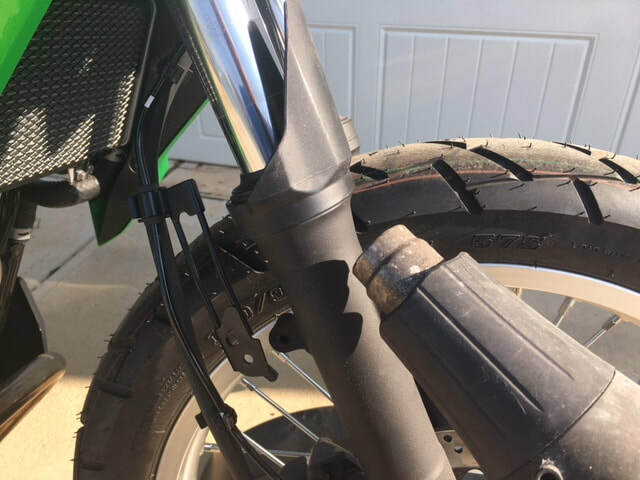 Versys X300 Fender Risers - AdventureTech, LLC. Tools needed: 8mm and 10mm open/box end wrench, 5mm allen wrench. 1. Remove all four button head mounting screws attaching the front fender with a 5mm allen wrench. See locations A and B below. Important: Be careful not to direct heat at the fork seals. The front tire/wheel blocks access must be removed or be free to move from side to side to continue. Remove front axle in accordance with normal maintenance procedures to allow the front wheel to be moved out of the way. Attach front fender riser to front fender mount with a 20mm bolt using an 8mm wrench. Just snug up the bolt at this time to allow some movement for fitting the front fender later. 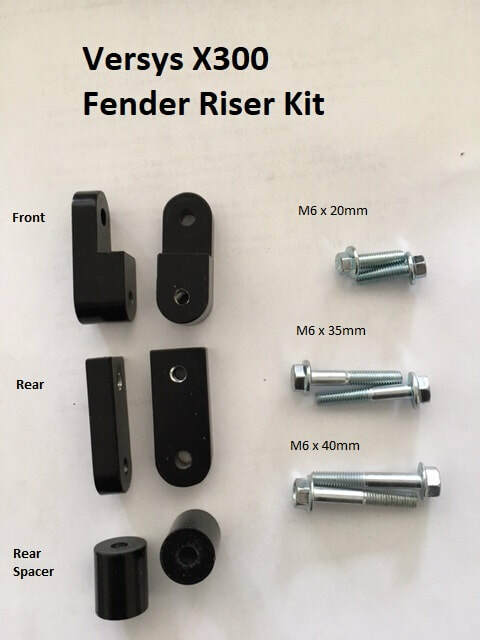 Attach the rear fender risers using a 35mm bolt and 10mm wrench. Note flat end goes on the bottom and bolt head goes on the inside. Slide the front fender into place and secure to the new higher fender mounting points using the original front button head screws. ​Note: Once the front axle is removed the fork tubes can turn freely. In teh picture above you can see the right side fork tube is turned slightly to the inside. 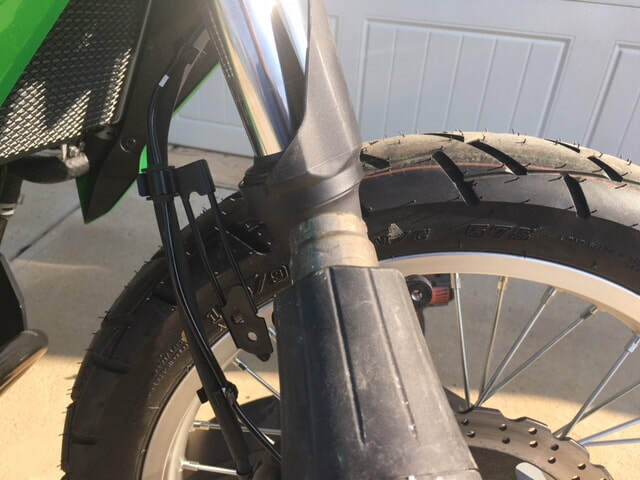 If your having trouble lining up the fender check to make sure the fork tubes are lined up parallel. 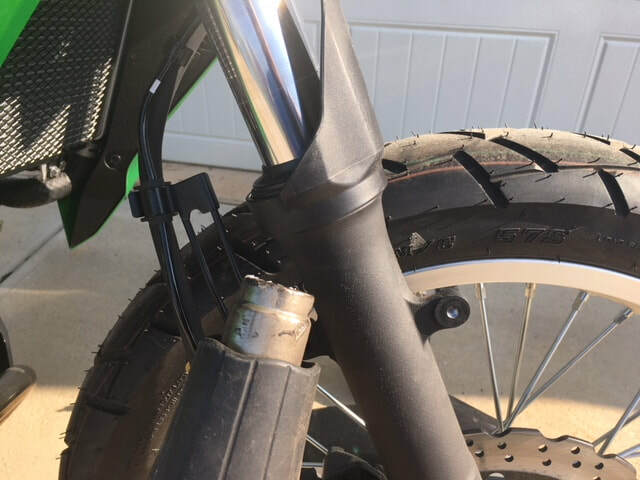 Insert spacers between rear fender and rear risers. See photos below. Secure fender with 40mm flange head bolts supplied with kit. At this time go back and tighten all the bolts used for the fender riser kit and to secure the fender. 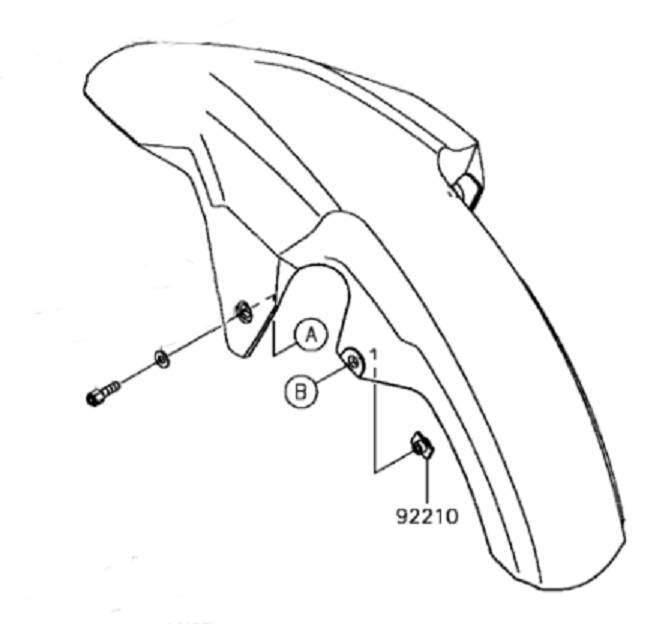 Replace the front wheel using standard maintenance procures.